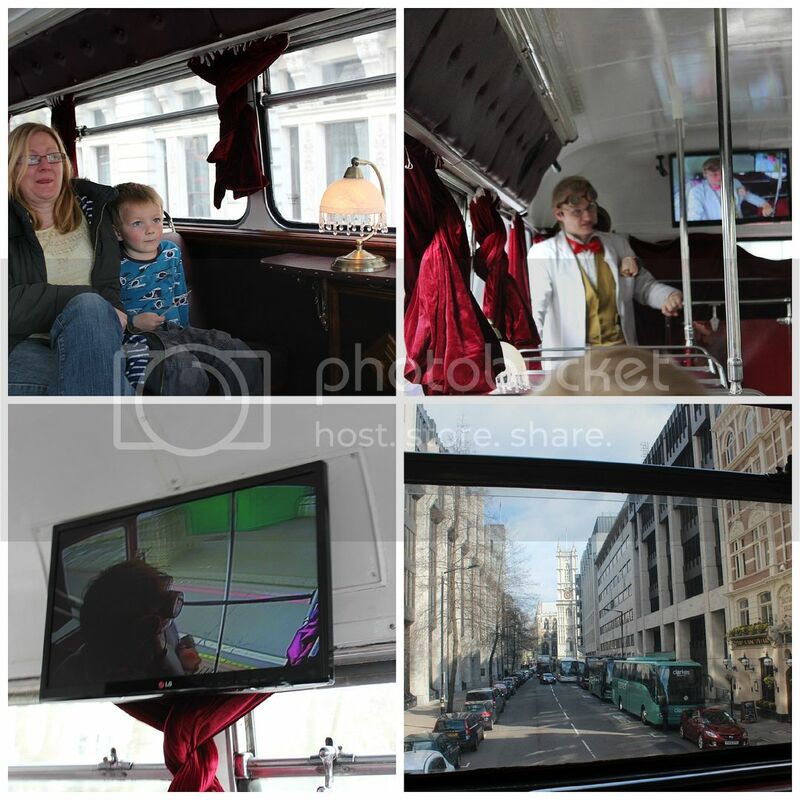 I have to confess when I won this London Time Tours bus tour in a competition and looked into it further, I was concerned as to what I had got us into. A trip round London on a bus with a mad scientist time traveler as our guide sounded like one of those really cringe-able episodes from The Apprentice. As is turns out, however, it was actually quite good. We picked the bus up at 2.45 by Trafalgar Square. 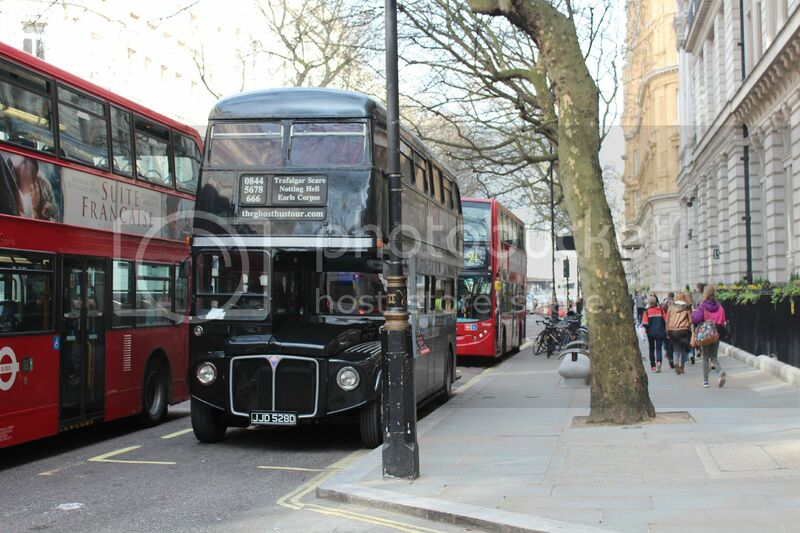 It is a black double decker which is also used for ghost tours in the evening. The time travelling scientist welcomes you aboard and talks you through the sites. There is a TV screen which you can view him from when he is running down to the bottom of the bus. When you inevitably get stuck in traffic, he flicks to some historical video or a chat with William Shakespeare. I thought it was cleverly done and our time travelling scientist was a great actor who took everything in his stride. It is just the thing to keep younger children interested in a bus tour. They like the story that goes with it and it keeps them far more engaged than a audio tape ever would. The downside to the bus is that although it is double decker, it has a top to it. Obviously this is a good thing in bad weather but it does mean you can't always get a good view of sites that you are close to. It is fine for those in the distance though. Like most things in London, you can get better deals if you look on the Internet before you go, and I have seen the Time Tours advertised on Littlebird recently so worth looking there if you think this is something your children would enjoy.